Matchbox toys were ubiquitous items for children across the Western world. Originally labeled Christmas-cracker trash by retailers and shopkeepers, the small-scale 1-75 series soon began to see unprecedented worldwide sales in the 1950s. Smaller and cheaper than most of its competitors' toys, Matchbox models were also far more accurately modeled, but the company has nevertheless seen its own share of competition and challenging times over the years. 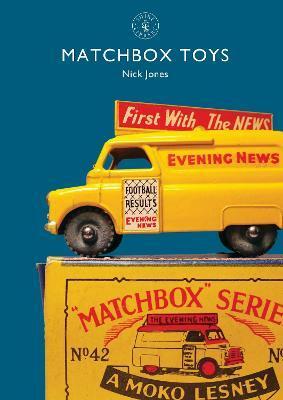 In this beautifully illustrated book, Matchbox collector Nick Jones tells the story of Matchbox and its most famous toys, from the Coronation Coach to the Batmobile, and complements the story with beautiful, previously unpublished photographs.